An emerging trend in process solutions is finding new ways to maximize profits through green initiatives. 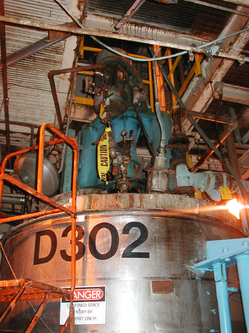 DDPS' capability to refurbish equipment - from individual products to entire systems – proves to be a valuable option to reduce expenditures and implement environmentally friendly operations. 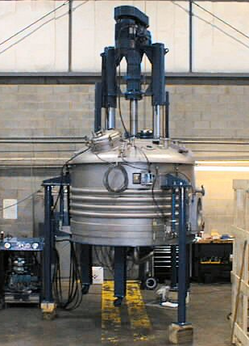 We can help you optimize all aspects of your process and get the most out of your equipment. Refurbished equipment refers to the renovation and upgrade of old, out-dated, or minimally defective equipment. DDPS can take your equipment and perform various repairs, part replacement, reassembly and upgrades while completely maintaining or enhancing the original identity and functionality and meeting or exceeding the original performance specifications. In addition to the cost benefits of revamping equipment , there are also a number of benefits for any company looking to reduce their carbon footprint. For additional information on equipment and system refurbishment specific to our glass-lined steel product line visit our reglassing and jacket cleaning service pages.